ALLSTA Express Spedition is an international logistics provider with an office at Vienna International Airport in Austria. They have a very competent logistics team and have been handling the forwarding requirements of corporate and private clients for over 25 years, by land, sea and air as well as customs matters. Their assignments usually exceed the standard procedures and are completed with care and efficiency. 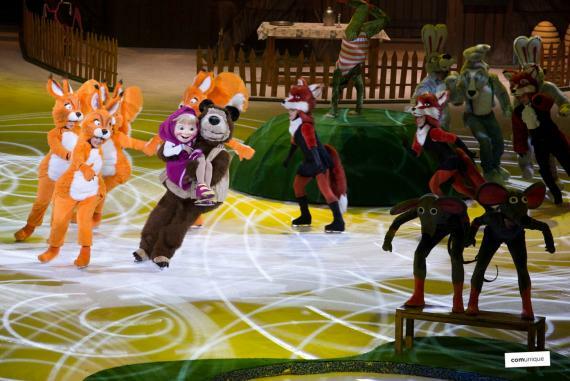 ALLSTA actively support international events of all kinds and Wolfgang Vytisk (Managing Director) describes a recent project below involving the logistics of the spectacular stage show, 'Masha & the Bear on Ice' in Abu Dhabi, UAE (photographed in action). 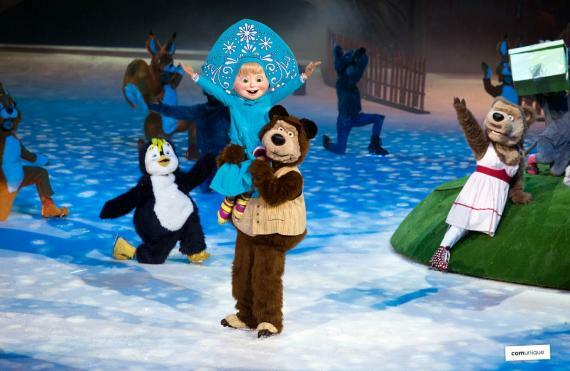 "Inspired by a Russian fairy tale, Masha & The Bear is well known to children around the globe and in Abu Dhabi, enthusiastic fans were looking forward to the wonderful ice show. More than 30 ice-skaters, dancers and acrobats, a spectacular stage design, scene transitions, melodic sound and enchanting props (up to 10m high) bring the breathtaking show to life - a perfect staging that inspired the audience. But the success of an ice show cannot be measured by applause alone - professionalism is the magic word in all areas. Our Viennese logistics company, ALLSTA has been working in event logistics for many years and knows the challenges of the international industry. 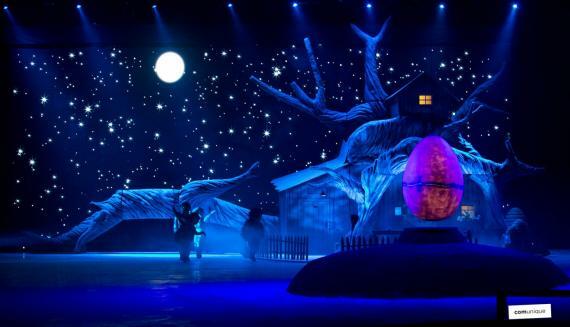 It was our job to handle the exciting journey of the ice show from Bratislava to Abu Dhabi." There was a lot of work to do to ensure that all the equipment for the ice show, from the cute bear's masks to the heavy steel structures, arrived on time at the event location in Abu Dhabi. In addition to cargo management, the experienced and reliable ALLSTA team had already assisted with all aspects of planning and customs documentation. "Four of the higher 40' cube sea freight containers were selected for some of the bulky stage constructions and proper loading was ensured. Afterwards, the containers were to be transported by truck to Vienna railway station and from there by train to the Italian port of Trieste. In order to enable faster customs clearance in the receiving country, four ATA carnets should have been created for the temporary export of the ice show equipment by the Bratislava customs office. However, one container was forgotten by the state railroad at the station and the customs office forgot to list and stamp some parts of the ATA carnet as provided for the customs regulations. The ALLSTA supervisor was on site for the loading in Trieste and was able to clarify everything personally, quickly and flexibly. The missing container arrived late in Trieste and only through ALLSTA's excellent contacts with all those involved at the port, we were able to ensure the containers were loaded onto the ship on time meaning all cargo arrived punctually in the destination harbour and from there, they were transported by truck to the event location in Abu Dhabi." "Event logistics is similar to a live performance - the logistics must be planned precisely, right down to the very last detail. The logistics artists need to give their passion in everything they can and if something doesn't go smoothly, the audience shouldn't notice it. We work discreetly, professionally and quickly on a solution until the logistics show is over!" ALLSTA are valued UFO members representing Austria and Germany.